Considerations for achieving high degree of alignment in polymer bonded permanent magnets are presented via the results of a study on in situ magnetic alignment of anisotropic Nd-Fe-B magnet powders (Anisotropic Bonded NdFeB Magnets). 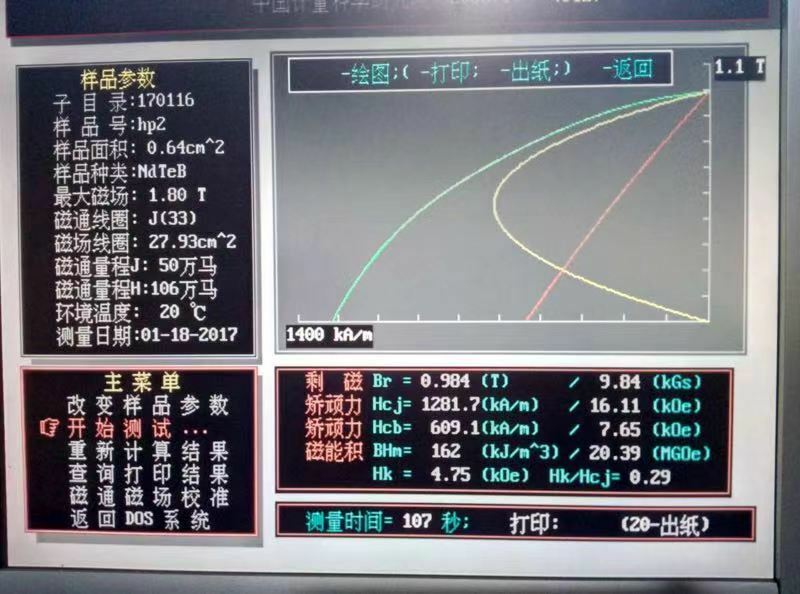 Contributions from effect of the alignment temperature, alignment magnetic field and the properties of the polymer on the hard magnetic properties of the bonded magnet were considered. The thermorheological properties of the polymer and the response of the magnet powders to the applied magnetic field indicate that hard magnetic properties were optimized at an alignment temperature just above the melting temperature of the copolymer. This agrees with an observed correlation between the change in magnetization due to improved magnetic alignment of the anisotropic powders and the change in viscosity of the binder. Manufacturing cost can be minimized by identifying optimum alignment temperatures and magnetic field strengths. Compression molding suitable anisotropic magnet powder had not been established facing the difficulty of contradiction of high density and magnet powder alignment. By applying both magnetic field and pressure at the moment when the resin is melted into liquid state by heating, both high density and a high degree of magnet powder alignment are attained. Furthermore, application of degassing and ultrasonic vibration were found to be effective. 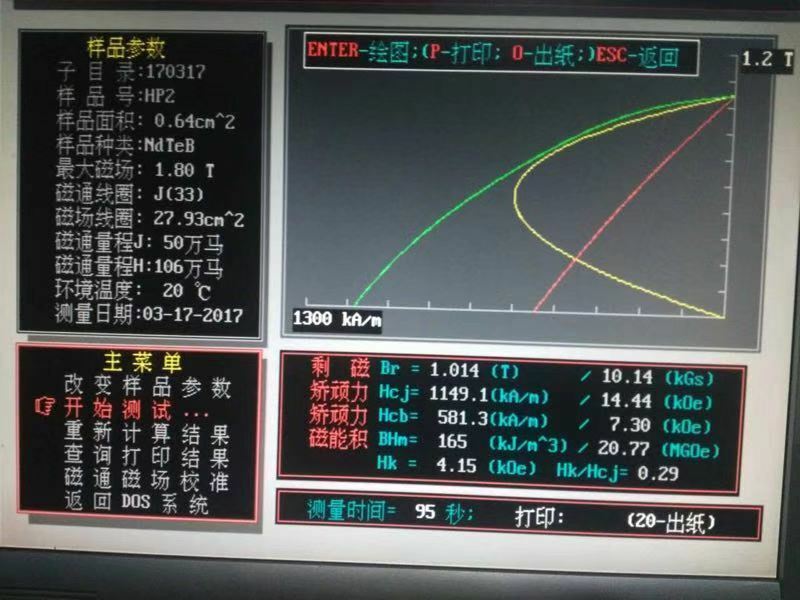 An anisotropic bonded magnet with the maximum energy of more than 20 MGOe, in other words, more than 80% of the theoretical value of maximum energy product, is obtained. 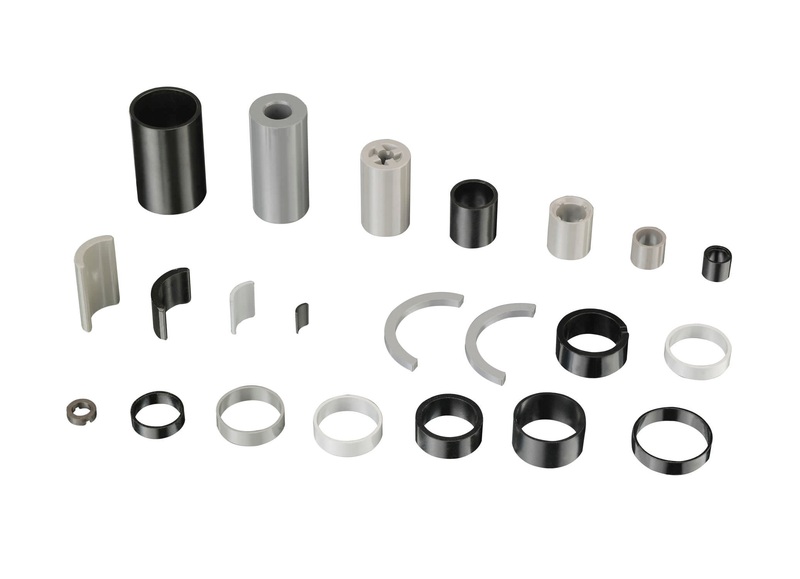 Bonded NdFeB magnets are strong magnets which are used for various applications. They are manufactured by binding rapid-quenching NdFeB powde mixed with resin to form a magnet by compression molding with epoxy or infection molding with nylon. The latter technique is particular effective in large volume production, though the magnetic value of products is lower than those made with compression molding because of their relatively lower density. Bonded NdFeB is easily machined. Coolants must be used while machining this material in order to avoid spontaneous combustion of powder. Machining this material removes a layer of protective coating, and re-coating for corrosion resistance may be necessary. Various shapes of high dimensional accuracy can be produced without further processing. Epoxy coating is mostly common used for bonded NdFeB magnets, nickel-plating is also used to prevent corrosion. The maximum energy product of bonded magnets is advancing every year. The highest maximum energy product of any bonded magnet achieved is 25 MGOe (200 kJ/m3) in the Nd-Fe-B system by d-HDDR treatment. There is a great demand for even higher energy bonded magnets with the desire for smaller, more efficient electric motors. Bonded magnets made from d-HDDR treated anisotropic magnet powder have low squareness due to low squareness of the powder. The authors developed a method to increase squareness of d-HDDR powder, and succeeded in developing the world’s highest energy bonded magnet with 26.6 MGOe (213 kJ/m3). This was achieved through Dy-diffusion treatment followed by d-HDDR treatment, as well as an increase in the density of the bonded magnet. This magnet has little aging loss after being held at 393 K for 878 h.